Get ready for Halloween by making a bunch of “Hanging Spiders.” They aren’t terribly scary looking unless, of course, you’re scared of spiders. There’s not much to making these, especially if you use glue dots. And if you haven’t been using them, now’s the time to start because you’ll find lots of uses for them. 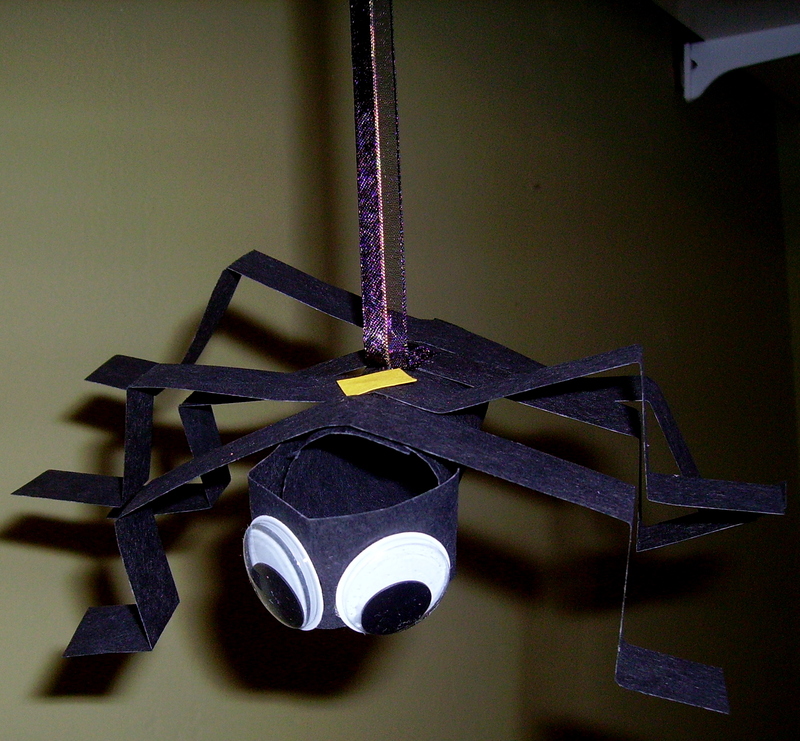 The directions for making “Hanging Spiders,” can be found in the Halloween Projects Gallery in the sidebar. This entry was posted in Halloween and tagged art, childrens halloween crafts, crafts, easy halloween crafts for kids to make, easy to make halloween crafts, for kids, halloween crafts, halloween crafts for kids, halloween spiders, hanging halloween spiders, projects. Bookmark the permalink.